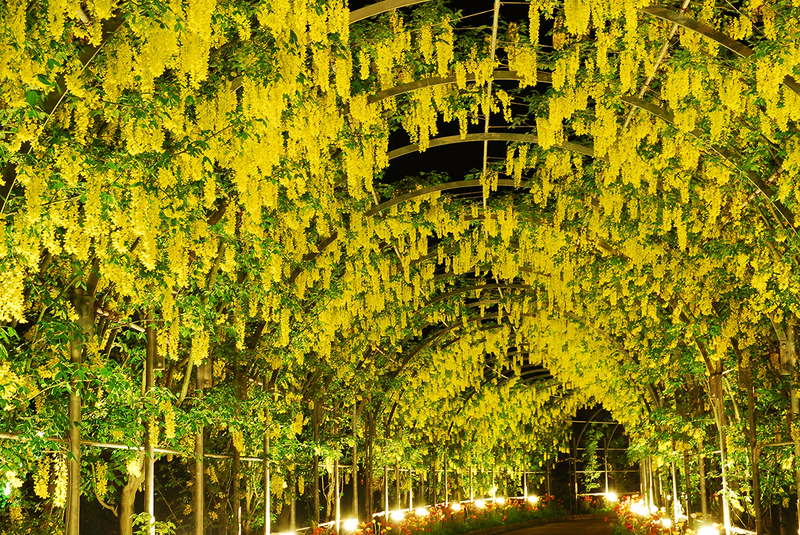 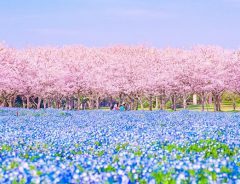 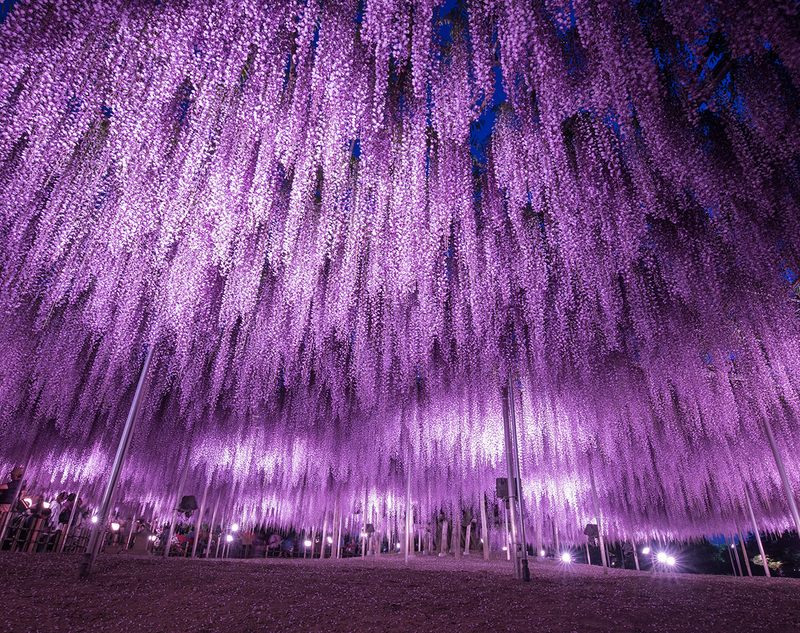 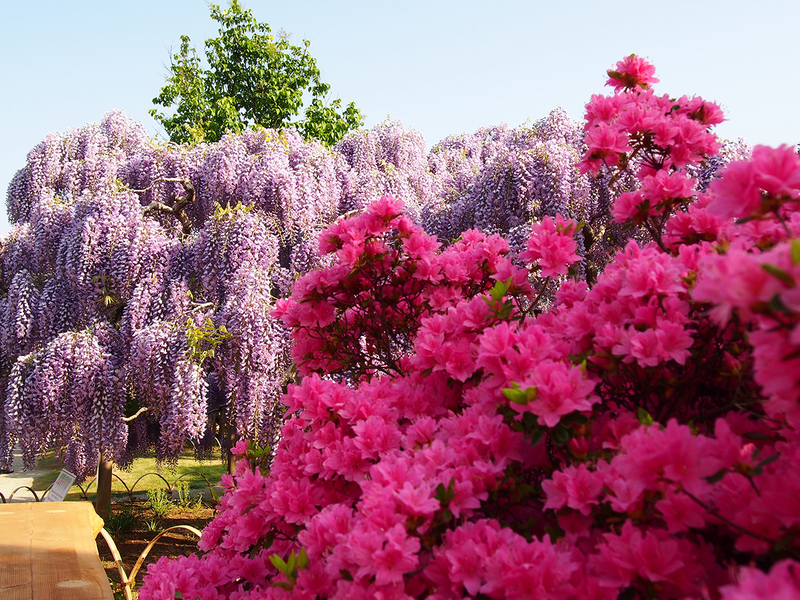 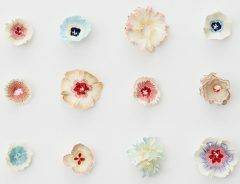 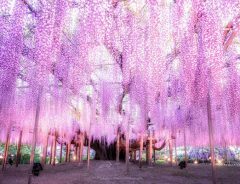 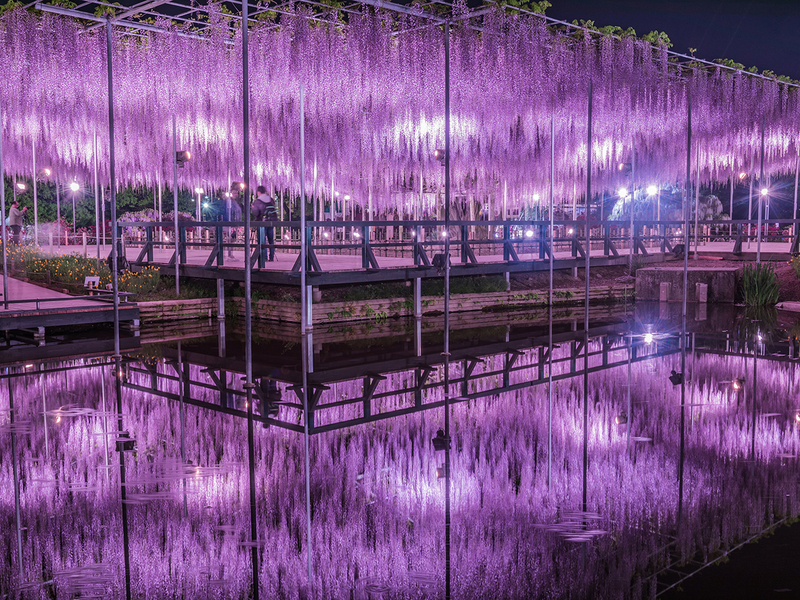 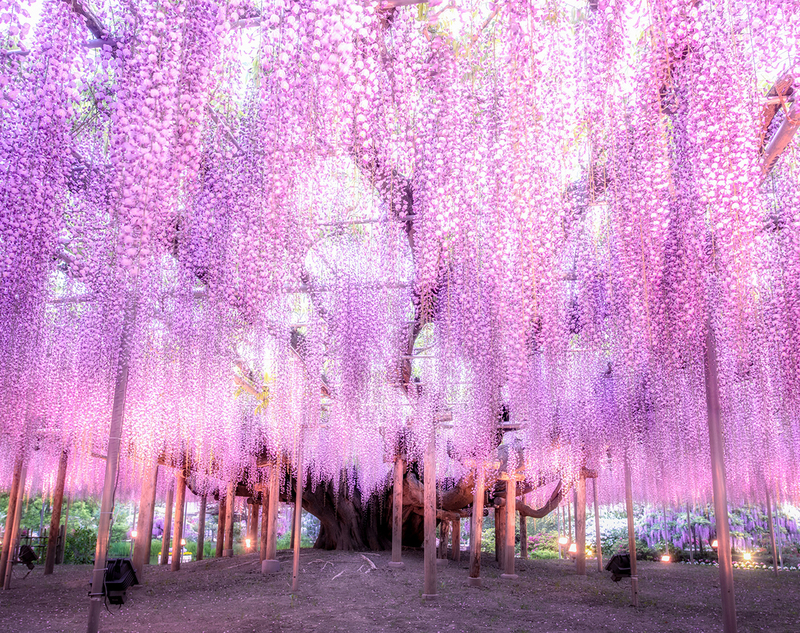 Every year in late April, visitors from all over the world congregate at the Ashikaga Flower Park in Tochigi Prefecture to experience the wondrous sight of wisterias in bloom. 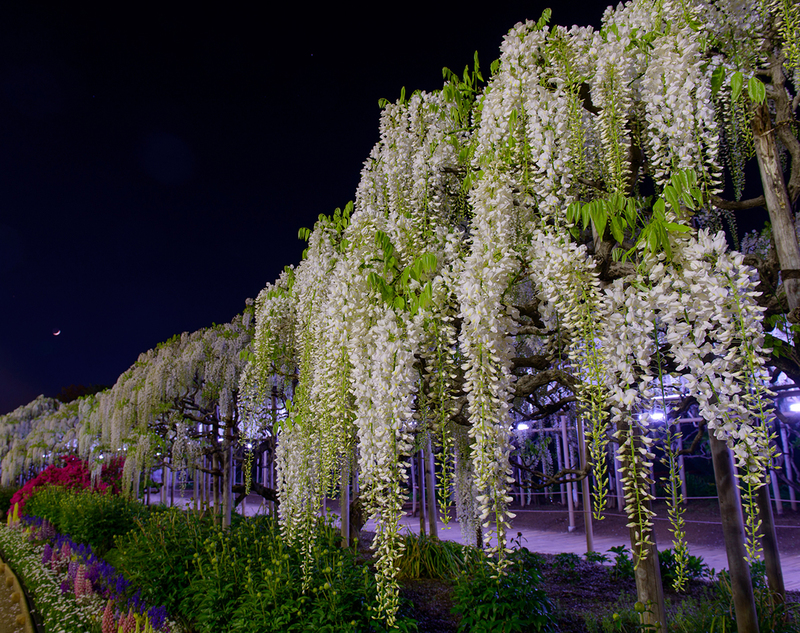 It's safe to say that there is no other place in the world which displays wisterias on such a scale and with such aesthetic refinement. 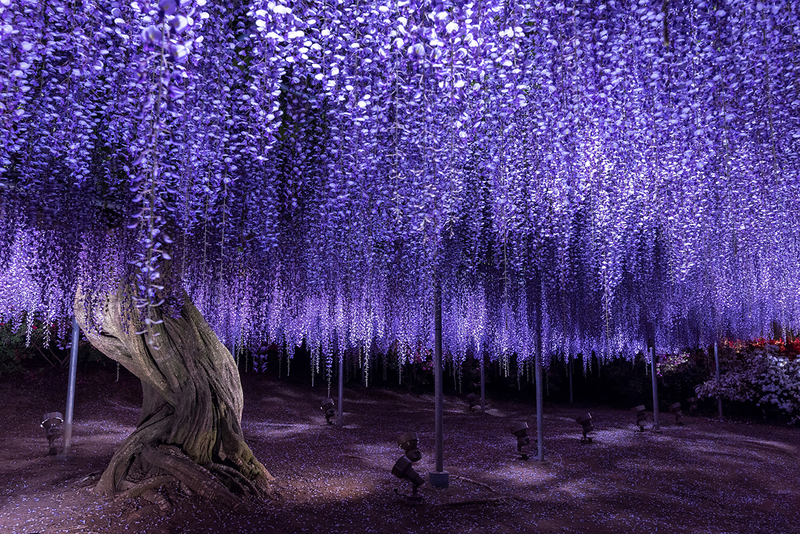 In fact, it was selected by CNN as one of the 10 Dream Destinations of 2014. 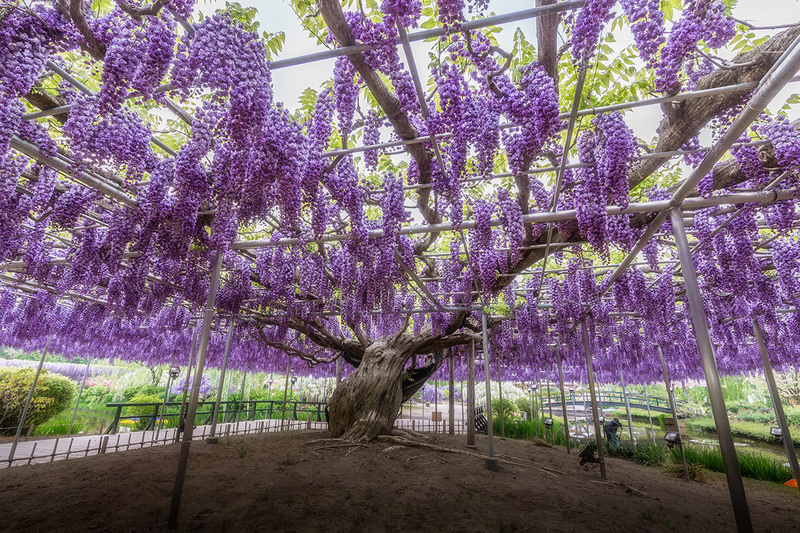 Not only can you witness arches of wisterias stretching above you and wisteria platforms planted over pools of water creating beautiful reflections, you'll see a massive tree over 150 years old whose branches decorated splendidly with wisteria blossoms reach so far that they extend over 10,650 square feet, a space larger than a baseball diamond. 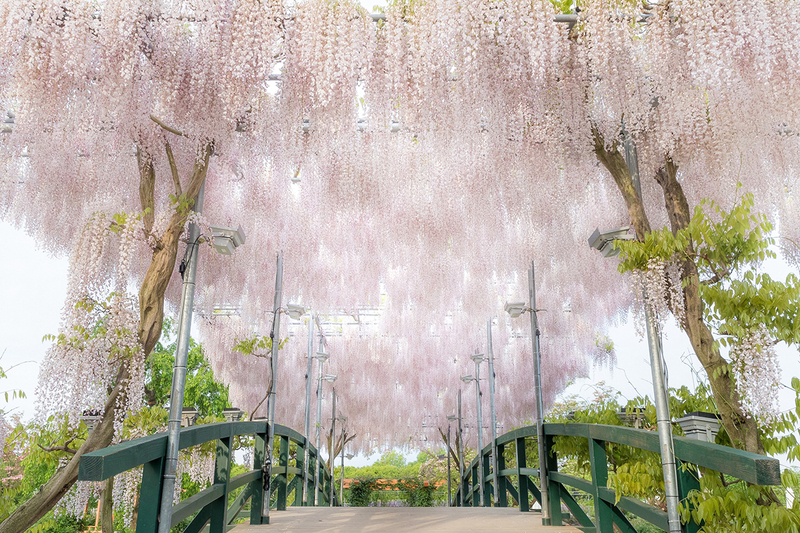 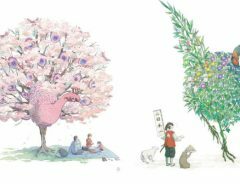 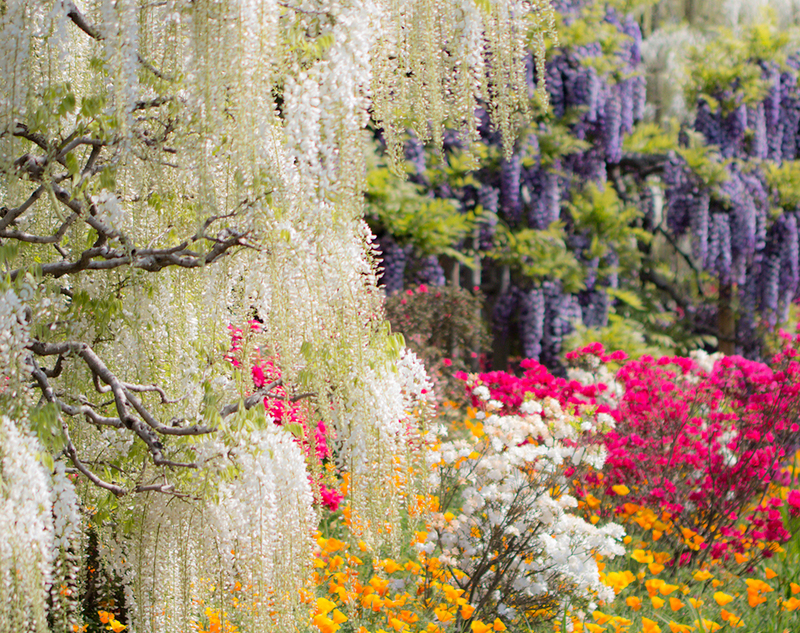 In total, there are 350 trees and over 5,000 garlands of wisteria in the park to admire. 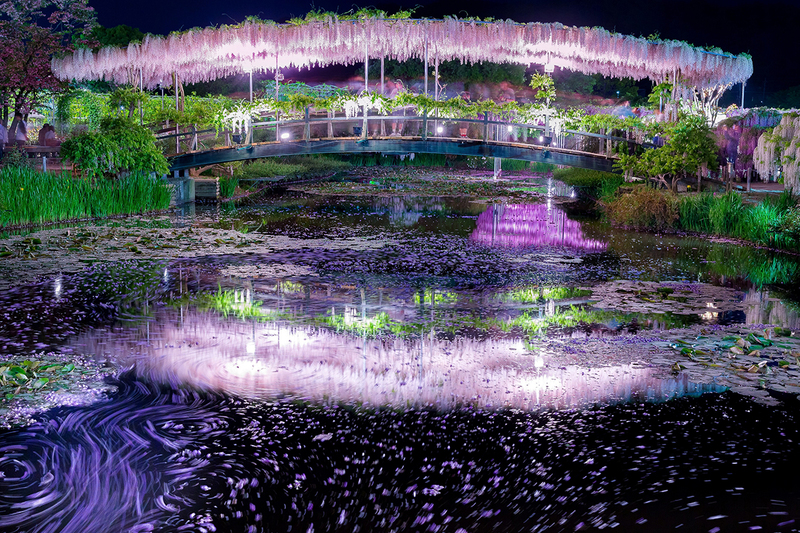 Although the park is amazing during the daytime, it's truly magical at night. 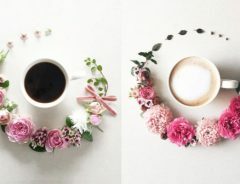 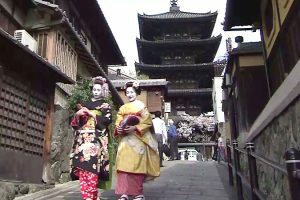 Hours: 7:00 AM to 9:00 PM from April 13th to May 12th (for night viewing during peak season), and to 6:00 PM after that.